Learn the basics of cooking Indian food in Cooking with spices. Shows you the different ways in which a spice can be used, the basic spice pantry you need to get started, and what else you can use those spices for. 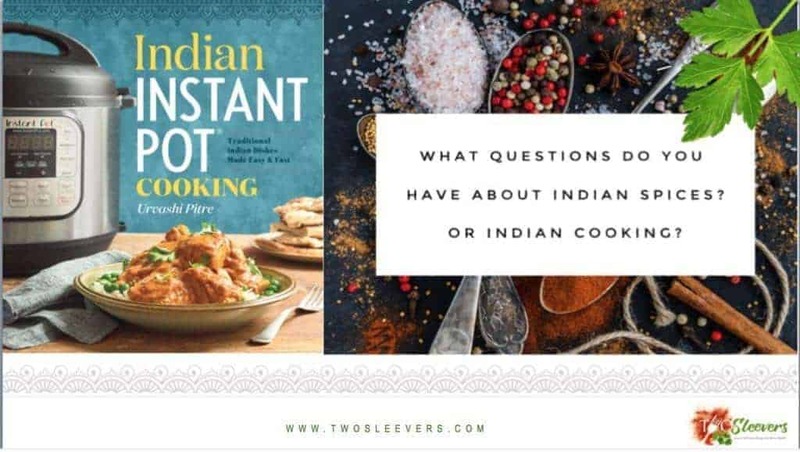 Twosleevers demystifies Indian Cooking for you, starting with the spices. What spices do you really need? What else can you use these spices for? Watch and learn how to use different spices to cook dishes from other cuisines such as Ethiopian, Lebanese, American, etc. I want to show you how easy and effective fresh spices can be, in everyday cooking. I really liked all your videos. 👌 I Would like to find out what brand ghee is good . Which one is pure ghee that u recommend. Perhaps I am doing something wrong, but I can’t get to the video on cooking with spices. I have tried 3 days in a row without success. That being said, I have your book, and besides my favorite butter chicken, I tried Chicken Briyani and was so impressed by how good it turned out. I got brave and went to an Indian market for the spices even. LOL So enjoying this cooking journey. Can’t wait to try another recipe. Thank you for everything you do! Nice! Glad it worked. I will check that video. I’m so glad you let me know. Views are really low on that and I kept wondering why. Now we know, thanks to you! Okay! I posted the video–properly this time! Thanks for the heads up.